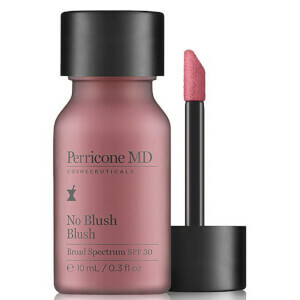 No Lipstick Lipstick restores the natural rosy color of youthful lips while deeply nourishing and conditioning. It smoothes vertical lip lines with neuropeptides and its solid-to-serum texture allows for sheer, buildable coverage. Melts into lips infusing them with neuropeptides. Promotes lips natural color and youthful appearance. Dr. Perricone recommends applying generously and evenly over the lip area. Re-apply throughout the day as desired. Precautions:Do not use on broken or damaged skin. Keep out of reach of children. It's a light mauve-ish lipstick. Very sheer - doesn't last long. Your lips but better look. It will not show on dark colored skin.